When most nine year old are lacing up their soccer cleats or strapping on shoulder pads for a pop warner football game, Cash LeCroy is suiting up for a different sort of competition. On his playing field however, LeCroy’s competition is more than twice his age. Hailing from Guntersville, Alabama, Cash’s foray into the powersports world began on a PW 50. 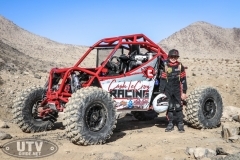 After witnessing a catastrophic accident between a youth rider and a big bike on a motocross track, Cash’s parents began steering him towards something with a roll cage. 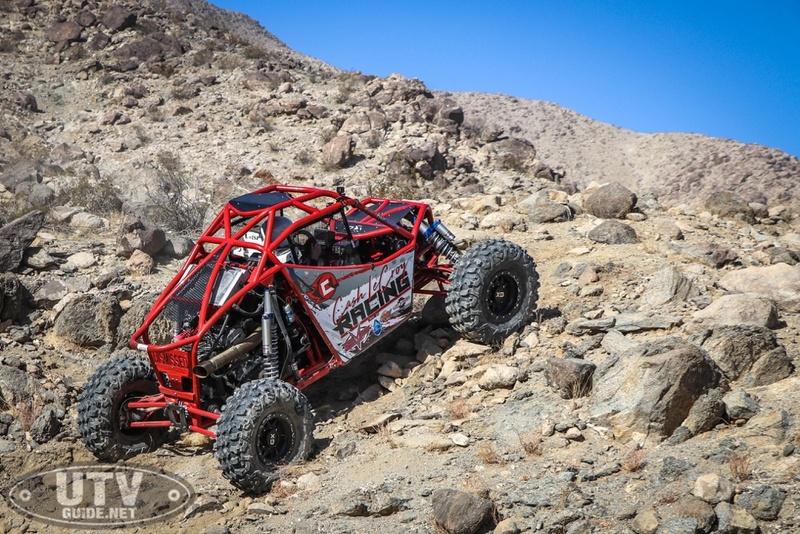 Generally speaking, a RZR 170 would be more than enough machine to keep your average 5 year old satisfied for quite some time but Cash quickly became frustrated that his RZR failed to keep up on family outings. 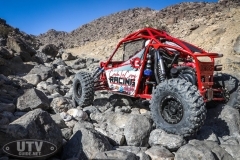 By 6 years old, Cash’s father purchased a RZR 800 and had it modified to suite Cash’s small frame. 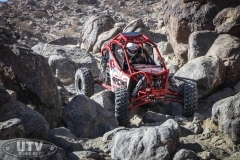 Now with equipment that was up to the task, Cash entered his first race, the RZR-Aid at Stoney Lonesome OHV Park, where he took home an award for best in show. 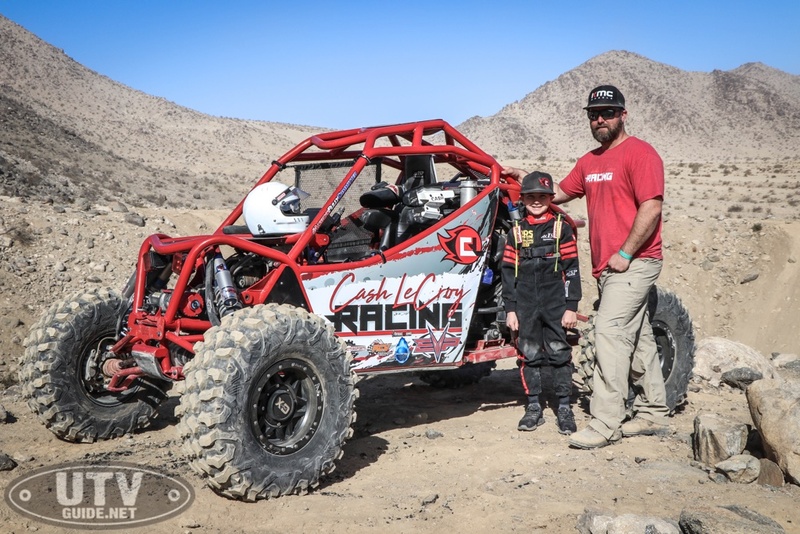 After a handful of events, Cash’s father Jon got the feeling that Cash just might have a knack for this UTV racing thing and the family began taking it more seriously. 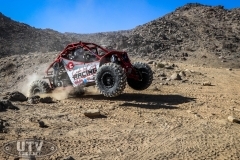 One of the immediate obstacles they had to overcome was convincing organizers to let a 6 year old compete in a style of racing known to take a tole on both man and machine. We had the good fortune of parking in the same camp as the LeCroy crew at King of the Hammers which gave us the opportunity to spend some time with him and get him out into the rocks. 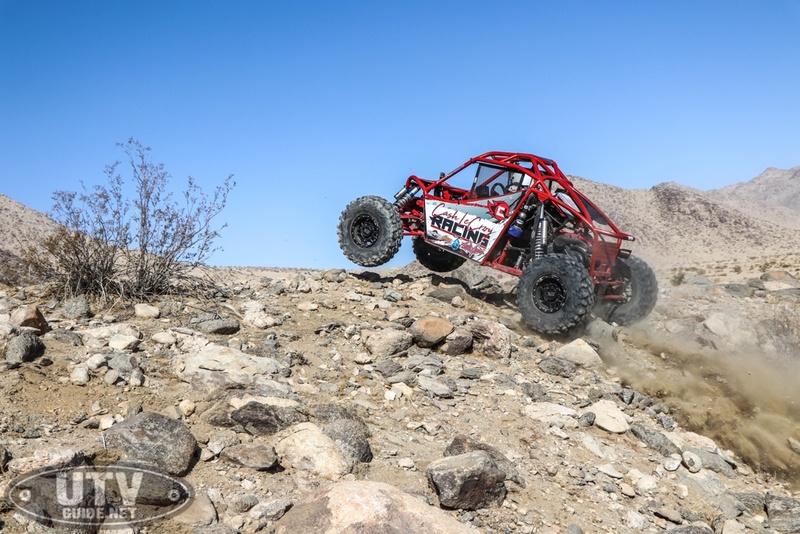 Hill killing as they call it back east is different than the endless fields of big boulders that you find in Johnson Valley but that didn’t seem to phase him as he managed an 8th place finish out of 31 entrants and 26 finishers in the Holley EFI Shootout sponsored by KMC, King and Action Sports Canopies. Cash was arguably the crowd favorite. 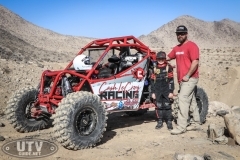 When he’s not duking it out with off-road racers who have literally decades of experience on him, he’s about what you’d expect of a typical nine year old. 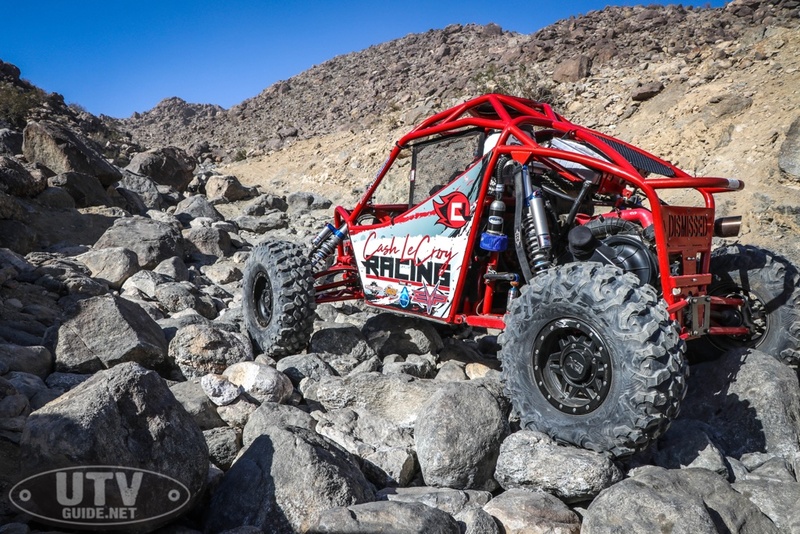 He loves RC cars though is equally fond of talking trash with other drivers like rock racing veteran Tim Cameron. 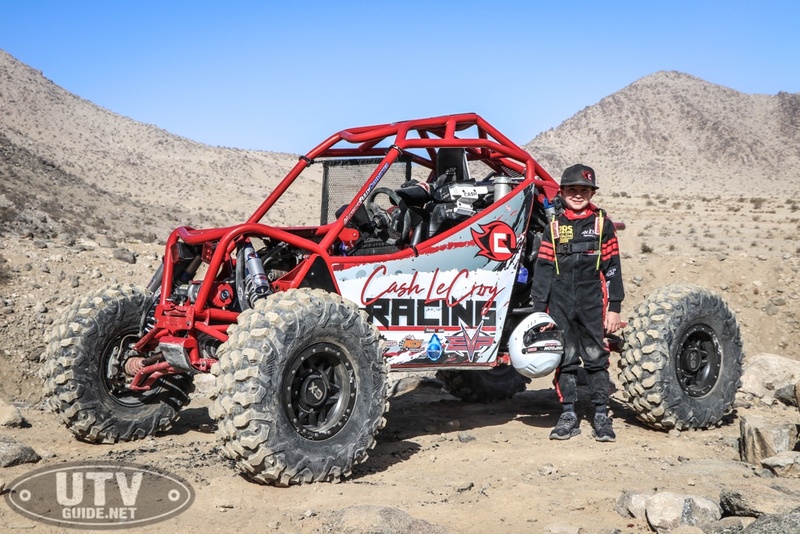 In fact, Cash counts Cameron among one of his heroes that he grew up watching on YouTube long before he ever climbed into a UTV. Not in a million years did he think he would be competing with the likes of Cameron, Wesley Gatlin and Tripp Pullen among others. If there’s a question about whether he’s in it for the money or fame you can guess again. Cash regularly donates his winnings to help others in need, including $750 to a local autistic boy who was raising money to purchase a service dog. Everyone around him, from his family to his teachers and even the school superintendent are behind him. Admittedly it took a little work to get the school administration on board but since Cash makes good grades and serves as a positive role model, they’re eager to work with him on making up classes when he has to miss school due to a race. The off-road community is regularly described as one big family and the LeCroy crew certainly emulates that. They didn’t set out to create a child prodigy of sorts, they just gave Cash the opportunity to do something he enjoyed and it turns out he’s really good at it. It just so happens that he’s only nine years old and likely has a very long career ahead of him.